Two Conventions, One Truth: What is it? The political pushback is dedicated to the analyzing of political news and headlines, debunking political falsehoods, and setting the record straight on issues of relevance to the lives of everyday people in America. 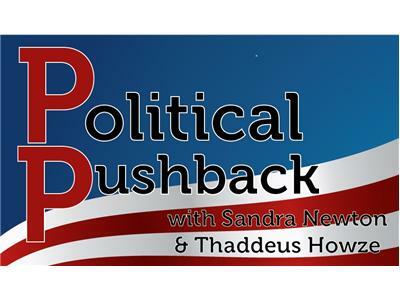 Hosts Denice and Thaddeus will "get at the truth" each Monday from 8-9:30 eastern, 5-6:30 pacific. Denice and Thaddeus compares and contrasts President Obama and his challenger Mitt Romney as well as the recent RNC and DNC conventions.